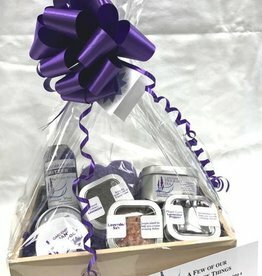 Surround a special someone with the scent of lavender - our Pampering Gift Set includes our own products that are hand-crafted in our shop and manufacturing facility in Coupeville on Whidbey Island, utilizing lavender grown in a sustainable manner on our own farm. Pure bliss for your body and your home. Enjoy!